Jeremy Shapiro is the research director of the European Council on Foreign Relations. His areas of focus include US foreign policy and transatlantic relations. Shapiro was previously a fellow with the Project on International Order and Strategy and the Center on the United States and Europe at Brookings, where he edited the Foreign Policy program's blog Order from Chaos. Prior to Brookings, he was a member of the U.S. State Department’s policy planning staff, where he advised the secretary of state on U.S. policy in North Africa and the Levant. He was also the senior advisor to Assistant Secretary of State for European and Eurasian Affairs Philip Gordon, providing strategic guidance on a wide variety of U.S.-European foreign policy issues. Faced with the prospect of a Trump or Clinton presidency, the transatlantic relationship is likely to face difficult challenges whatever the result. Despite the promises of globalisation, cosmopolitan politics only takes you so far. In an age of nationalism, it is not a good idea to look to outside forces for help with internal problems. Donald Trump, Master Strategist or Master of Disaster? This week, Mark Leonard and Jeremy Shapiro discuss how the Chinese view Trump, fresh from Mark's trip to China, and how the Big Lebowski explains the Helsinki Summit. 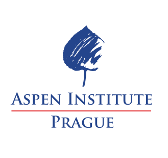 Jeremy Shapiro and Philip Gordon's analysis of the transatlantic relationship listed as one of Aspen Institute's "5 Best Ideas of the Day"
Jeremy Shapiro and Philip Gordon on the end of the Atlantic Alliance and how it could look after 2020. Jeremy Shapiro and Philip Gordon's piece for Foreign Affairs analyses the death of the transatlantic alliance and how a future US president could revive it. Jeremy Shapiro quoted in Quartz regarding the relationship between Europe and Trump. Jeremy Shapiro quoted by France24 on the WWI centenary commemorations in Paris. Jeremy Shapiro on the European perception of the US midterm election result. Jeremy Shapiro quoted by The National in regards to Trump's foreign policy following the US midterm elections. Jeremy Shapiro is quoted by Handelsblatt regarding the US-american midterm elections.